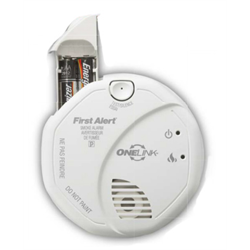 Battery powered photoelectric smoke detector with ONELINK wireless interconnect. Up to 18 ONELINK detectors can be linked wirelessly so when one goes off, they all go off! 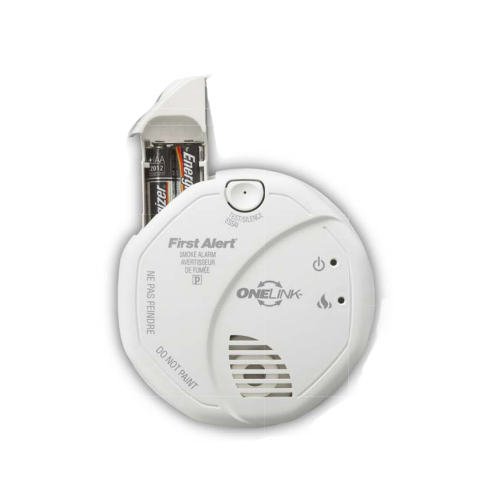 User-friendly features include easy-access battery door which allows for battery changes without removing the detector from its mounting location and end of life timer which signals when the detector should be replaced. Low battery warning so you know when it's time to change batteries, and a mute button that instantly silences nuisance alarms. This model can work with Insteon systems when used in conjunction with a 2982-222 smoke bridge.